Carbon Tax Control, Or A Cap On Trade? The views expressed in this article are those of the author and may or may not represent the views of GreenJoyment. 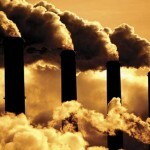 Carbon dioxide is a natural component of the atmosphere and plays an important role in nature. Plants absorb carbon dioxide from their surroundings to perform photosynthesis. Experts suggest that there is a specified limit of the carbon dioxide in the atmosphere, beyond which it can be harmful for humans and the planet. Carbon dioxide can elevate the earth’s temperature (greenhouse effect) which creates potential harm for the planet. Cap and Trade is the restriction or limit imposed on energy-based units (firms or companies) for emitting carbon dioxide in the atmosphere. The units are given permits which are valid for specific time intervals, during which they are supposed to abide by the limit. It is also known as carbon emission trading. Firms can ask for permits as long as the market allows, which is managed with the help of certain regulators. The market automatically reduces in size until it becomes exhausted. The theory is that this leads to declines in the overall carbon content of the atmosphere. Such restrictions on release of carbon content encourage firms to install technological aids for emission control and controlling the overall pollution level. Research and investment into emission control measures become an additional expense and requirement for these companies, but it means that firms which are gearing their business practices toward creating greener standards are automatically going to have a higher cost of retrofitting their old equipment. It also means that there is an indirect support given to pollution control technologies, companies which produce them, and it has been argued that this is part of the overall strategy when it comes to cap and trade (i.e. companies selling equipment which helps measure and reduce carbon emissions have lobbied for cap and trade legislation, in order to support their own businesses and business models). The derived benefits of cap and trade are supposedly the best part of such a regulatory measure. It tries to lay a fair and just platform for companies, penalizing those who pollute the atmosphere and cause menace. Those who work within the limits need not pay the government fines, but on the other hand, also have to buy the equipment up-front. This mode of control and regulation is supposed to create a moral responsibility for all industries within the gamut, which can actually go a long way in checking pollution levels. Instead of burdening the firms with a direct tax, regulatory authorities cleverly adopt the indirect methods (like the cap and trade) and establish an example for others. Many economists do not favor the idea of cap on trade. Instead, a carbon tax has been suggested. They support a direct tax instead of the cap on trade. An example to support this notion comes from the Swedish carbon tax policy, adopted in 1991. The tax prompted increased use of biomass, resulting in innovation in use of wood fuel. Encouraging results came in the form of reduced carbon dioxide emission and the economy justified the tax burden by reducing tax on social security. A carbon tax can also encourage people to opt for reduced use of their vehicles. The cost to the society is taken care of by contribution from the society itself. It can also open up new and eco-friendly energy resource usage. The revenues generated can be used for the benefit of the economy at large. A carbon tax is supposedly beneficial for price stability and can be functional quickly. It has a wider scope compared to the cap on trade system of taxation (whose applicability is mainly found to be restricted to the electricity industry). However, a carbon tax may pinch the consumer hard and discourage people from undertaking new ventures within the country. It may shift the economy’s resources to a foreign nation’s benefit. Furthermore, a new tax always comes with its administrative cost and tax evasion likelihood. Determining the magnitude of such a tax is also difficult for the regulatory authority. So what do you favor? A Carbon Tax or Cap and Trade Credits? About the author: Amanda Kidd is a blogger who takes an utmost care while choosing her stuff as she prefers only eco friendly accessories. She loves shopping for bags and shoes and she only prefers eco friendly design bags. The Nature Lover is very environmentally friendly and is currently busy growing her own organic garden. A tax is still a tax and I pay too much tax already. Politicians are just playing you for more money by claiming a carbon tax will solve our greenhouse gas problems. To which I say bull. Don’t fall for it, it is a scam. So then do you prefer the cap on trade idea Joe? Also, how much do you pay in taxes where you live? I think the Carbon tax is the best idea. However the reality for getting something like that passed is highly unlikely. As long at the teaparty and grover norquist are running the country you’ll never see anything like this coming to pass. I think it should be on the 2012 national election ballot – let the people vote on it up or down. If nothing else it will encourage the debate. Thank you for your comment. Do you see the Tea Party being in favor of the Cap On Trade then, or do you see the Tea Party not wanting to do anything at all? Also, do you believe that the Tea Party and Grover Norquist really run the country? The teaparty seems to be steering the agenda, i’m just going by the recent debt ceiling debacle. I don’t think they will raise taxes or anything that has the slightest scent of raising taxes/revenue. I don’t think teapartiers know enough about cap and trade to make an intelligent decision. They wouldn’t even close the tax loopholes for special interests. Norquist seems to have a disproportionate influence on certain legislators becasue he helped get them elected and since they’ve signed this pledge of his not to raise taxes the politicians are held hostage to him. He claims to represent the “American people” but he only represents a few few people and the majority are very wealthy individuals and corporations. I prefer neither. A carbon tax is merely another method for politicians to collect revenue to spend on their own pet programs. Cap on trade is even more ridiculous. Forcing people to do something is like herding cats. You want to change something, you need to convince people, not handcuff them. Save the planet kill youself! When China implements cap and trade or carbon tax come and talk to us. Interesting point about China making it easier for business to pollute the planet with their policies. Does China impost taxes on their business or do they just tell the businesses what they can and can’t do via centralized planning? I think it can be a good idea if done gradually, start the tax really low and bring it up slowly over the years.